A senior leader of Yemen's Houthis group (Ansar Allah) claimed that his group had made a number of initiatives for peace in the country that is in a bloody war for the fifth year, while the Yemen's internationally recognized government doesn't offer any kind of solutions. 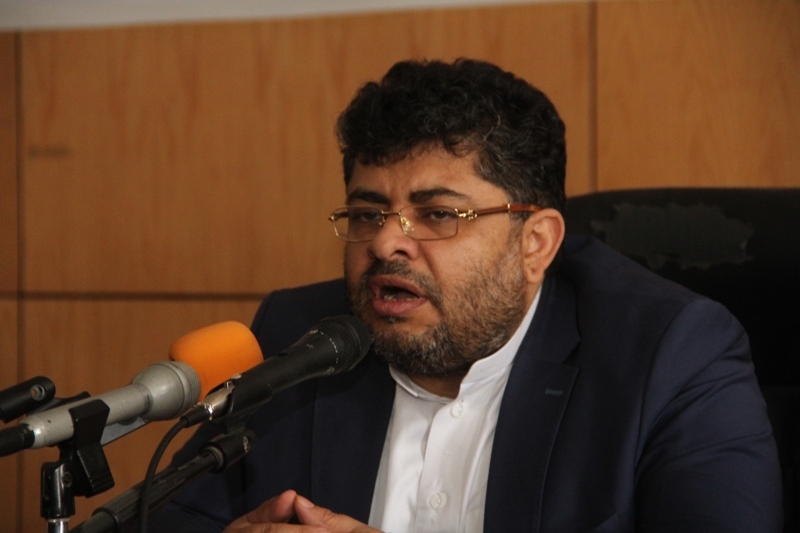 "They (the" legitimate "government) do not want to admit that we are offering the initiative after the initiative for peace, while they have not given up until now," said Mohammed Ali al-Houthi, a senior member of the so-called Supreme Political Council established by the Houthis group for governing in areas under its control. Any kind of solutions to peace. " For the fifth year, Yemen is waging a bloody power struggle between the Yemen's internationally recognized government, backed by a Saudi-led military Coalition and the Iranian-backed Houthis group (Ansar Allah), which controls the capital Sana'a and most of the north country's densely populated. He said in press statement: "They did not offer any initiative or any step that confirms that they are seeking peace, they just want escalation. Escalation is what they are talking about, whether through their media or across the field, and unfortunately the other party is saying that we hinder peace as they are a dove of peace and is throwing flowers at us. The Houthi leader accused the Yemen's government of internationally recognized non-compliance with the cease-fire agreement in the province of Hodeida west of the country stemming from the Stockholm agreement signed between the two parties last December. According to the Houthi leader, Houthi-run "Saba" News Agency reported: "The other side has not made any real peace steps "and that his group agreed on the executive points made by the head of the Coordination Committee for the redeployment ,General Michael Lollesgaard and there is no proviso on it." He said: "We are not the one who hinders this agreement, and it is not in our interest to block it. We are keen on peace because the siege that led to starvation and cutting salaries in Yemen, the continuous air assault, the shelling of civilians, the targeting of markets and other crimes and massacres committed constantly, make us move towards peace. " "When we move to peace, we move freely, but we can not offer our hands to cut, our necks to be slaughtered and we can not engage in a peace process in which we will be humiliated. ", he added.